With its Virtual Preparation Programme, the TU Bergakademie Freiberg has created an opportunity for virtual preparation for studying in Freiberg. It is a self-study in the form of contact studies accompanied by tutorials. get a view into the professional requirements of our university. 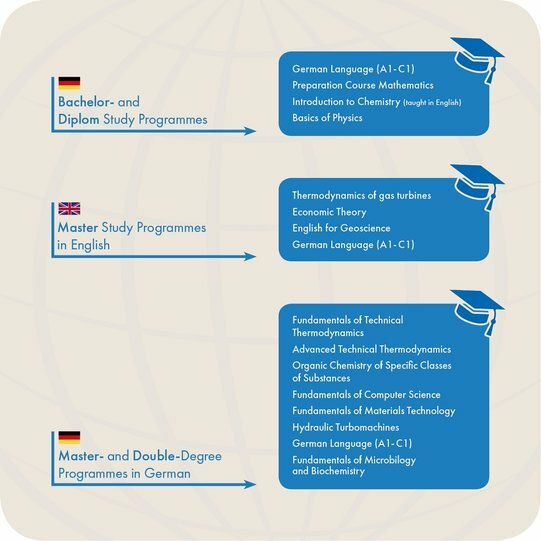 improve your language skills (German and/or English) in preparation for studying at our university. not have any disadvantages in relation to your home study and no credits as negative examination achievements! Participation in our online course offer is completely free of charge!